Happy Pongal, Mr Sumanthiran! You and I are from two very different generations. In fact you belong to my uncle’s generation (sadly I don’t get along very well with my uncle). You are a child of the ’70s. I’m a child of the 90s. In a more textbook classification you are a Gen X and I’m a Millennial. You were born to the Dominion of Ceylon while the Queen still ruled supreme, while I was born to the free, sovereign and independent Republic of Sri Lanka. We were introduced to the colour TV, Microsoft, mobile phone, email and internet at different ages in our lives. You were exposed to critical historical events which I can only read about. And our experience of some other major historical events happened under different circumstances. You come from the very north and I come from the very south of our island. You are Tamil and I’m Sinhala. You are Christian and I’m Buddhist. You studied at the most elitist school in Colombo. I studied at a common man’s school in the outskirts. You did Physics. I did Genetics. But we both did our Bachelor’s degrees in South India. I hope you love India as much as I do. Especially the food and its ordinary people. You are kind of a classic Bollywood villain to me, Mr Sumanthiran. Probably the same way that Mahinda Rajapaksa is to some late 30s bald Tamil guy (I’m bald BTW). But I don’t dislike you the same way or as much as I dislike the LTTE leader. 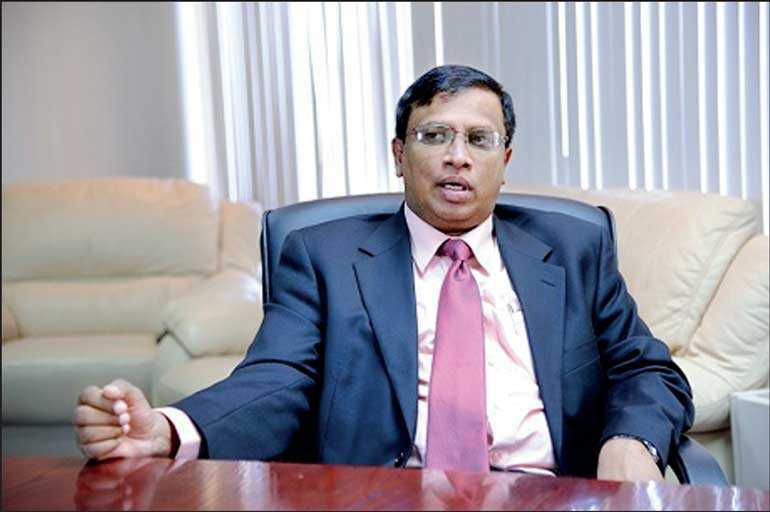 What I’m trying to say is, you Mr Sumanthiran represents the biggest barrier for the peaceful coexistence of ordinary Sinhala, Tamil and Muslim people of the Republic. You represent everything that is wrong with your generation. You and your fellow egoistic politicians all keep dragging us back to the 20th century. You as an eminent lawyer Mr Sumanthiran, should know very well that the ethnocentric power struggle among the elites was started by the British in the 1920s. And after several failed attempts it was resolved in 1972, with the best solution that there can ever be. The Sinhala, Tamil, Muslim, Malay, Burgher all people compromised their factual or fictional right to this land when they made us a Republic. That day Mr Sumanthiran, is the day we all truly became equal, and remain so until this day. It was a defining moment of our civilisation when the sovereignty i.e. the supreme ownership and the power to control this State with the rights and franchise was divided equally to each and every citizen of this land. And I know that you know the devolution of power you talk of is meaningless because whatever power there is in this State has already been devolved to the very last person whether you are a Sinhala or a Tamil or a Muslim or a Malay or a Burgher or a whatever. By definition, there can be no more devolution thereafter. So what you are really trying to do Mr Sumanthiran is break that equality. You are no different from Mr Ranil Wickremesinghe and the like. You are all just elitist politicians who have been colluding to suppress the Republic since 1972 to maintain your own class politics. You bunch managed to get away with it, with your own generation like with my uncle for example. But as 21st century global citizens, people of my generation can cut through your hypocrisy like that Garam Masala Chai cuts through your throat down a humid Madras night. Your mate Mr R. Sampanthan recently admitted that we/they (whoever) failed to make a “Sri Lankan nation”. Of course you will fail if you discount the thousands of years of social and cultural evolution of our vibrant multinational civilisation and try to impose an arbitrary, artificial, alien “Sri Lankan” nationality. Who are we kidding? Sinhala people have a unique identity. Tamil people have a unique identity. Muslim people have a unique identity. And so are the Malay and the Burgher people. Isn’t that the beauty of our civilisation? We are not some lame Nation State with just one type of national identity. We have always been a civilisation of diversity. We are not the same. But we are equal. Many Sinhala people have a hard time understanding the difference between “same” and “equal”, because we use the same word for both concepts (Samena). Do you have the same issue in Tamil, Mr Sumanthiran? Isn’t it ironic that sometimes the problem is not Tamil vs. Sinhala, rather the limitations of your own language, or the usage of it? I work with an extremely talented Tamil friend who translated my Sinhala book ‘How to become a Successful Social Entrepreneur – Handbook of Social Entrepreneurs’ into Tamil. And we spent a lot of time constructing the right word choice for ‘Social Entrepreneur’. I’ll send you a copy once it is out of the press. And speaking of the language issue which played a critical role in pulling us apart in 1956, before even you were born has also been solved in the current Constitution of the Republic. Sinhala and Tamil are now both state languages, both are administrative languages, and both are judicial languages. So Tamil and Sinhala languages have equal status. And I think it’s great. In a world where communications is becoming language independent with real time text and voice translation through technology, beautiful languages like Sinhala and Tamil (unlike this crude English) must flourish. Wouldn’t you say that some of our greatest native poets and novelists are yet to be born? Hmm? The first 30 years of my life was spent in a war-torn State. I envy you, Mr Sumanthiran because you actually lived your teenage without a war around you. We can count the bodies, but we can never put a price on them, can we? How do you weigh the pound of flesh, Mr Sumanthiran? How do we weigh out the Tamil lives lost against the Sinhala and Muslim lives lost? How do we bring back the Tamil diaspora and the internally-displaced Muslims to their homes? There is no war now. Not anymore. And my generation, Mr Sumanthiran, just wants to move on. I don’t want my children to live their life through another war. Some say that Mr Mahinda Rajapaksa could’ve been a Nelson Mandela. But I think they are wrong. His sacrifice was different. I honestly think you could’ve been our Mandela. You could’ve been the leader who healed wounds, Mr Sumanthiran. You could’ve been the Prime Minister of the Republic of Sri Lanka who developed the whole Republic, and not just part of it. You could’ve been that guy, that father figure who everybody loved and remembered for his wisdom and sacrifice. But you chose otherwise. What a shame, Sir. What a shame. We don’t have many good Sinhala, Tamil, Muslim leaders in their 50s. They all either died as teens in 1988-89 or left the Republic with their parents or died from the war as soldiers. So we are stuck with an old incompetent bunch who should’ve been replaced by now. The Millennials will only takeover in the next decade. With due respect to the sacrifices your generation had made, the fact is you all were a big humiliating failure. There’s nothing for you to celebrate. You brought us here. You were given many opportunities. But you blew it all. My humble request to you Mr Sumanthiran is to stop trying to force a 20th century solution in the21st century. You are only making things worse. Now please let the new generation have a say in what is best for the Republic and define our common future into the 22nd century. The future is sustainable development, Mr Sumanthiran. The future is borderless governance. The future is equality in diversity. Thank you for your patience. May you find peace in your heart!